Boasting over 36 km of white sandy beach this has got to be one of the prettiest spots in Cape Town. It is also home to the oldest Surf shops in out city. So, if you are into surfing, or learning to surf, or simply watching others surf……..this is the corner of Cape Town to head to. For those who are interested in surfing lessons check out www.learn2surf.co.za or www.garysurf.com. Note that the water is warmer here then on the Clifton/Camps Bay side of the mountain – making it a good stop for a dip in the ocean en route to Cape Point. Muizenberg was originally a cattle farm and later become a VOC military outpost. The railway finally reached Muizenberg in 1822 leading to more development in the area. In 1795 the British invaded in Simons Town and this would lead to the Battle of Muizenberg in 1795 – a battle that the British won. After the discovery of Gold in the Witwatersrand in 1886, Muizenberg become a famous holiday resort for the wealthy Rand Lord. It is really interesting to visit Muizenberg to check out the architecture. Much of which today is a slightly faded grandeur. 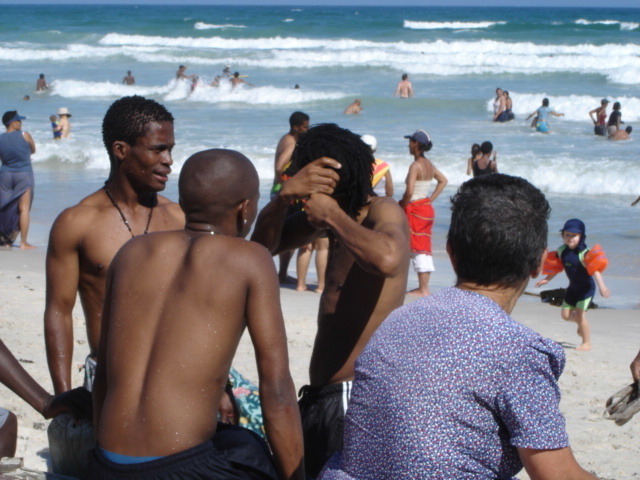 In more recent times, Muizenberg become quite a mixed area with many immigrants. Crime moved in and prices dropped. Today the prices of property in the area have been steadily rising and with it has come a reclaiming of the properties – renovations, painting, new stores, new restaurants…..etc. 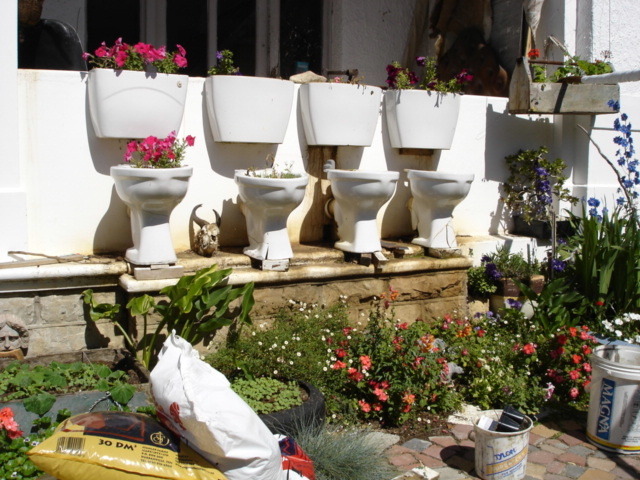 It is still one of the most cosmopolitan areas of Cape Town, it is still mixed, still quirky and attracts quite an artistic community to it. Yes, it is still slightly eccentric which is what makes exploring the area really fun. On the left is a picture of one of the gardens in the area around the main village. 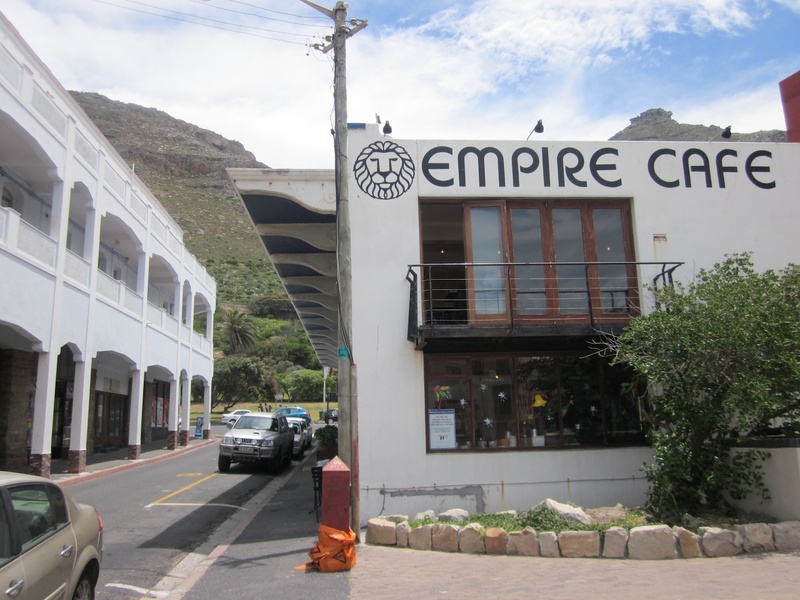 The Empire Cafe – This is a quirky little cafe just across the railway lines from the sea. The secret is to secure a table upstairs so that you can enjoy the view of the ocean while you enjoy your coffee. To me this little spot sums up the slightly eccentric feel of Muizenberg. It offers a simple setting, with simple and delicious meals that are chalked up on their blackboard each day. www.empirecafe.co.za It is open 7 days a week during the day. 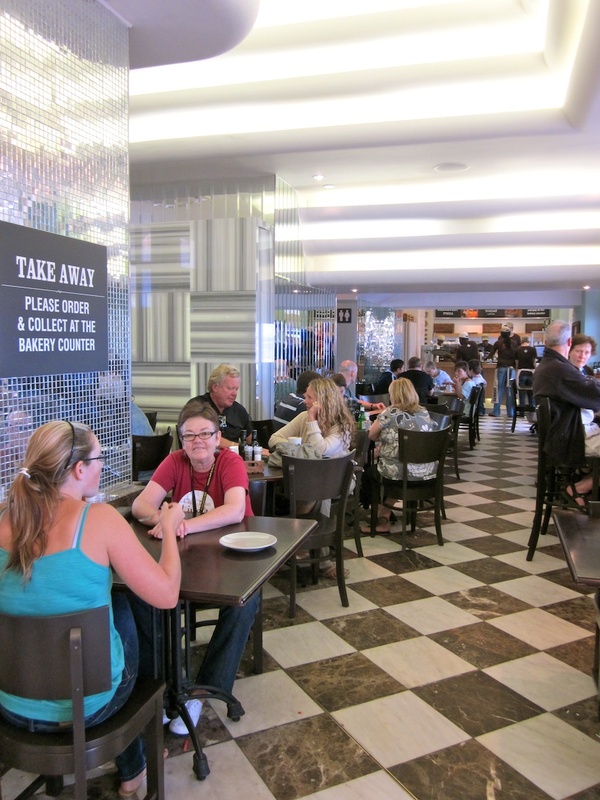 Knead Bakery – this is such an exciting new addition to Muizenberg. There is currently a trend in Cape Town of artisinal bakeries opening up around the city. Knead was born in Wembley Square just above the city and has been one of my favourite haunts for buying bread since it opened. The concept is to sell their bread as well as to present dishes for breakfast and lunch that use their products. The new store in Muizenberg is a wonderful spot to pop in for coffee, breakfast or lunch. The decor is glitzy and glam and lots of fun and the spot always has a vibe. 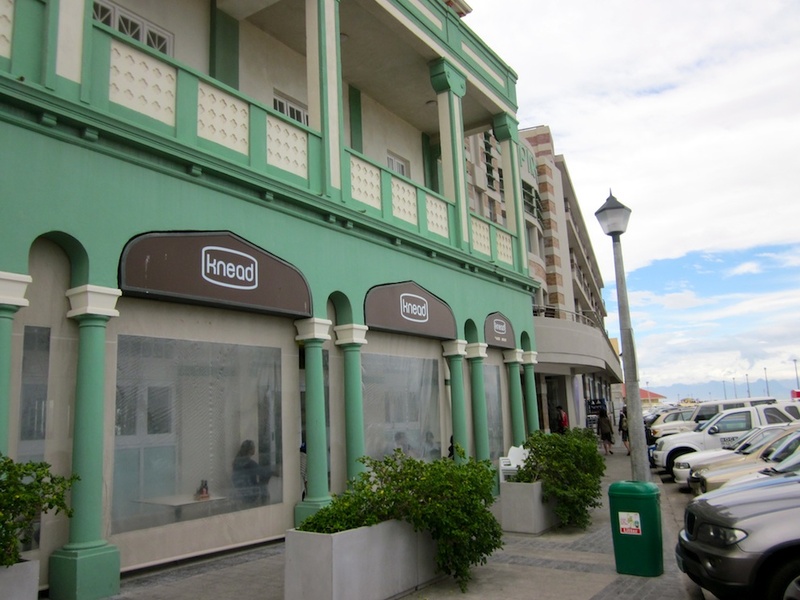 It is located in one of the renovated buildings along the beachfront and is definitely worth a pitstop if you are in the area. 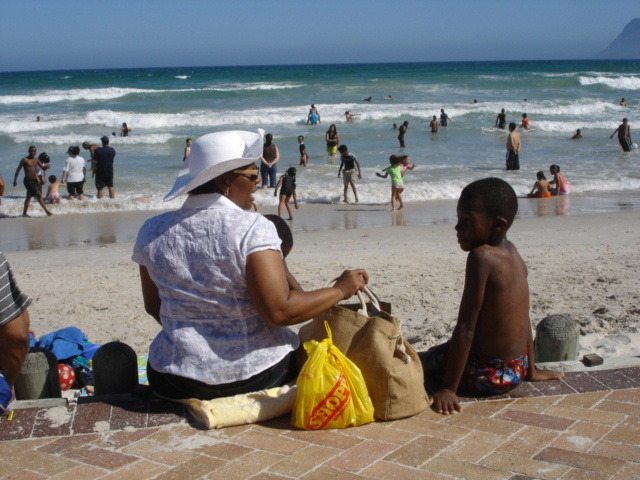 Tel no: +27 (21) 788-2909 Location: On the beach in Muizenberg next to the parking lot. 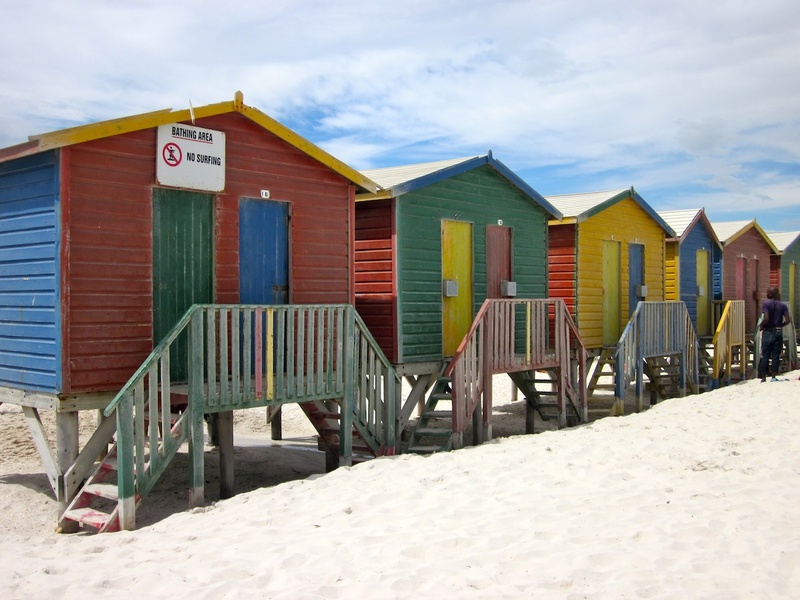 Finally – I would advise you to not just stay in the beach area – head off and try and find the little village centre of Muizenberg. Here there are little bars and cafes where you can stop for a beer and mix with the locals. Enjoy your visit to the beach. A reminder to try and stay away from the area around 26 December and New Years day – it just gets too busy! !